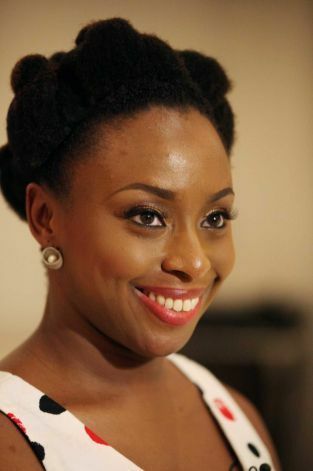 Deepbrown & Kinks: Chimamanda Rocks Thread on GuardianLife! 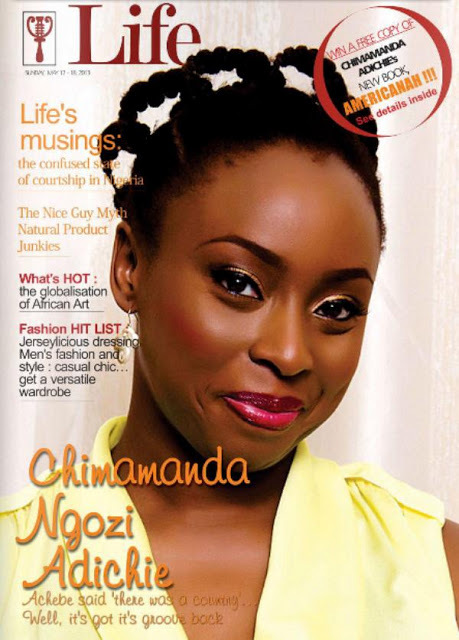 Chimamanda Rocks Thread on GuardianLife! She's beautiful! Look at such creativity with her hairstyles. She's really an intelligent woman. Her beauty goes beyond just her lovely hair. 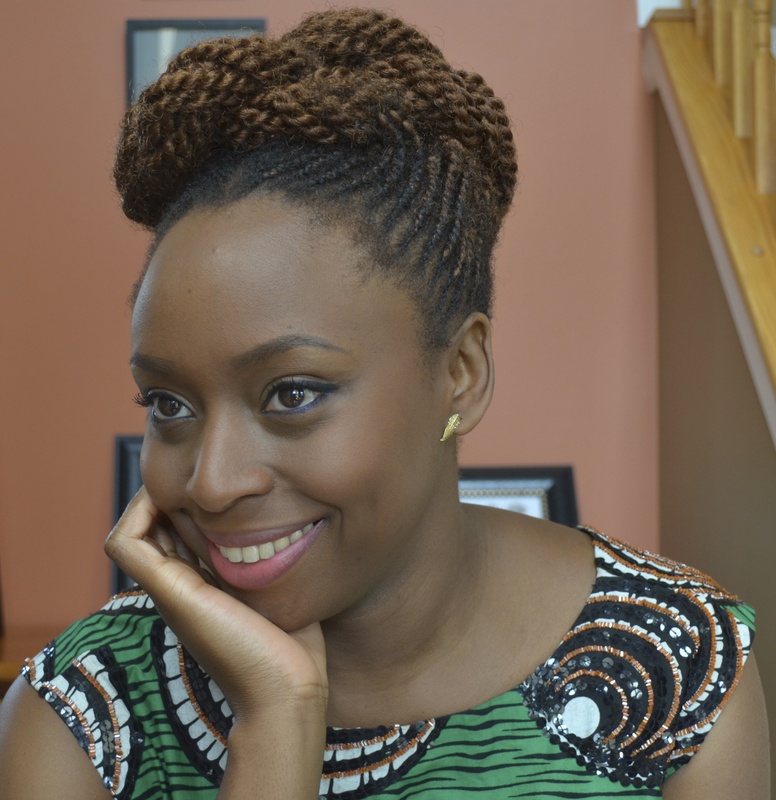 Her beauty is very pronounced in her books, her style of writing, her creative mind, her... What is there not to admire in Chimamanda? I've been opportuned to hear her speak; and goodness me, I nearly cried in joy because this is a woman who has made am brand for herself in every single thing she does. 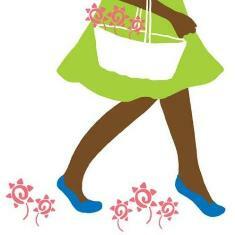 From the very tip of her toes to the very tips of her lovely nappy hair.I am happoy to have her in our time. Unfortunately, beauty is defined (by a lot of people) by the inches of Brazillian and Peruvian hair a woman wears. Making her look like a cross of "willy willy" and a possessed banshee! 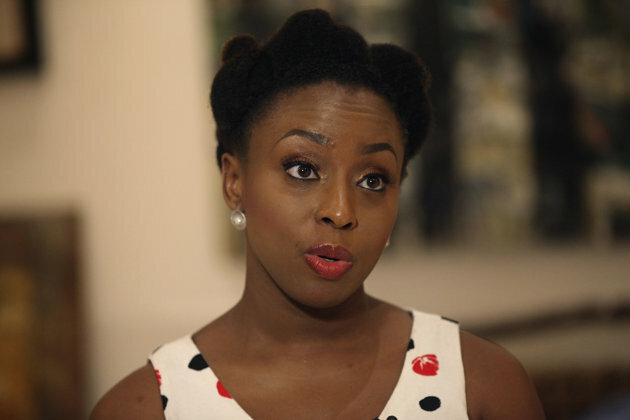 Ms Adichie is on point externally and even internally. It takes a lot of guts for we African women to rock our nappy hair and still look beautiful and be confident because our beauty is from within. If its so easy, make dem go cut their hair, make dem no fix Peruvian hair na. Make we see how dem wan look. Thanks Natmane. You are beautiful and on point too! Aww...thanks Anon! lol at your second paragraph (willy-willy? ^_^)and yes, I agree with you when you say that it takes a lot is guts for African women to rock their fros. awesome! if anyone tries to make fun of my threaded hair (irun kiko). All I have to do is to just show them the cover pic! she is a Beautiful woman! Irun Kiko is what it is called in Yoruba? Hmm...never knew that. if you try it out make sure you take pictures and share o.
Boring? Ugly? Ehn?? Who said??? Those last 2 shots of her; I really want to recreate that hairstyle. I've been seeing a lot of it on the internet and I want to wear it! How do I go about it? Can you braid? If yes, I can tell you how to section your hair to get the style. If not I think you should just show a stylist, they would know what to do. Its only ignorance that will make any one call her hair ugly or boring.Her hair is so lovely,and her hair styles are so beautiful crafted;a work of art indeed.